Used car ads tend to be all kinds of weird, but surely the idea had to come from somewhere, right? 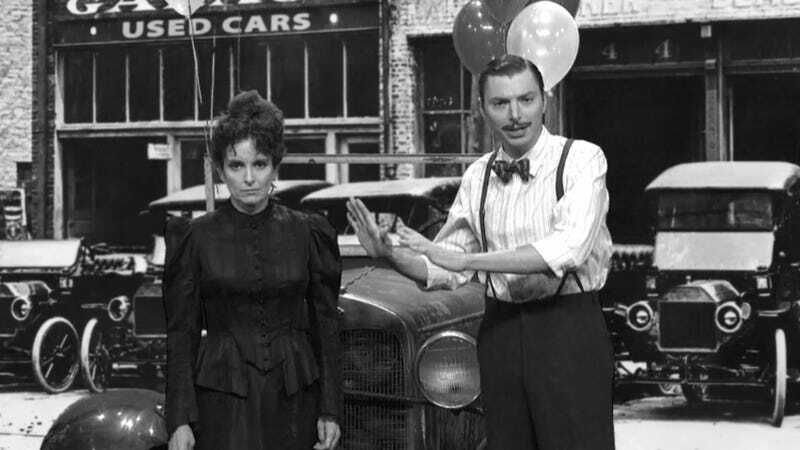 It turns out Saturday Night Live got their hands on a copy of the very first used car commercial, and since it stars Tina Fey and newcomer Mike O'Brien, it is, of course, absolutely hilarious. We're so crazy, not only do we slash prices, but I gave all my babies to the well! Yeah, it's pretty much all downhill into dark humor from there.